What's that? WATER WORKS is being released this week? On Sunday, you say? Oh, gosh. I guess I had better do something about that, eh? Let's start with a reminder that you can PRE-ORDER Water Works for Kindle on Amazon right this very minute. And a little secret tip: the print version is already live. Why? Well, turns out I needed some copies ahead of time for various nefarious purposes, and Createspace only lets me print proofs until they're approved, at which time they automatically go live. It's ok, though. Just a minor inconvenience for me, and a change for you to jump the line and grab your copy a bit early. Next up, a small reminder that you can now enter for a chance to win both current books in the Emma series: ROOT BOUND and WATER WORKS, both signed, both brimming with all sorts of magical brownie goodness. To get a piece of this action, run on over to Goodreads right now and throw in your ballot. This giveaway ends on October 29, so don't delay. Giveaway ends October 29, 2015. And finally, you may not have noticed, but ROOT BOUND is now available on Amazon Select. This means it is now FREE to read anytime through the Amazon Lending Library. The best part of this arrangement is that even though you read for free, I still get paid, so please help support my work and borrow a copy today. WATER WORKS will also be listed in the Amazon library once it's released on November 1, so come on back next week and get your fill of the next installment. Thanks so much to all of you who have supported my work. 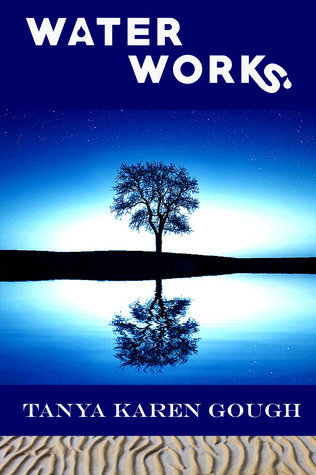 I hope you all enjoy WATER WORKS as much as I enjoyed writing it. Thanks for reading! Is it a tongue-twister, or is ROOT BOUND free this week on Amazon? YES! I'm celebrating the upcoming launch of WATER WORKS on November 1 by giving ROOT BOUND away for free from Sept 21-25, 2015. What's that you say? You want free books? Great! It's giveaway time! To celebrate the release of WATER WORKS on Nov 1, I'm giving away two separate packages on Goodreads, right this very minute! First up is a SIGNED two-pack, including both ROOT BOUND and WATER WORKS. The giveaway is on now and ends Oct 29. Don't miss out on your chance to win both books in the Emma & the Elemental series! Giveaway ends September 25, 2015. Three years have passed, and Emma has settled comfortably into her new life. The basement brownies, the troll-green siren Leucosia, and the prehistoric bird George have faded into stories she told her best friend Reggie when they were little. Her battle with the evil witch was nothing more than the product of her overactive childhood imagination. Until it starts to rain. Before she knows it, Emma is back in Under, this time with a sick Reggie in tow. With the help of new friends (and several old ones), she travels to the mysterious Yesno jungle and a barren island beneath the setting sun, where the choices she makes threaten to destroy everything she loves. She must overcome terrifying challenges both on the sea and below it, all in an effort to save her best friend. With water, water everywhere, what is a girl to think? Emma & the Elementals is a fast-paced, action fantasy series about a young girl finding her place in the world through a series of adventures involving magical creatures, and a journey to the centre of the earth. Emma & the Elementals is both a topsy-turvy riff on traditional literary children's fantasy and an allegorical coming-of-age tale. Righty-O. So, it's been...ahem...a while since I last posted anything here. I'm sure you were wondering what had happened to me. As it turns out, I've just returned from an extended trip to Under, and I have so many exciting things to tell you about. Yep, that's a toy lobster in the corner. His name is Chive. And if you direct your attention to the center of the image, you'll see a completed draft of WATER WORKS (Book Two in the Emma & the Elementals series, and sequel to ROOT BOUND). It's the the reason I've been too preoccupied to post much lately. No, I'm talking about he draft. Please stop looking at the lobster. You might have also noticed that ROOT BOUND is no longer available in digital format, except from Amazon. You might have seen this and guessed that a string of free dates could be heading your way, If you did, then give yourself a nice pat on the back, because you're right. 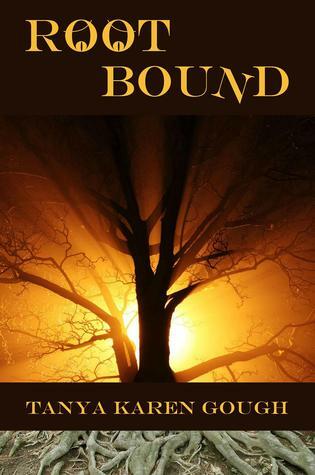 I'm giving ROOT BOUND away FREE on Amazon from Monday, September 21 through Friday, September 25, 2015. I've never done the whole Amazon Select/Free deal before, so please watch this space for ways you can help me ensure the book gets into as many deserving hands as possible. You can also keep an eye out for additional promotions and a Goodreads giveaway coming up in the next few weeks. Why am I doing all this? Oh, I don't know. Perhaps I'm overcome with uncontrollable affection for my fellow human beings and want to shower you all with gifts. Or maybe it has something to do with WATER WORKS being released on November 1. What's that, you say? WATER WORKS is being released on November 1, 2015? Maybe. Ok, probably. Fine! Yes, it is. Would you please quit nagging now? Thank you. 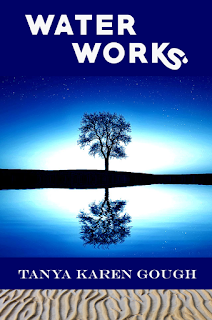 And on that note, if you reviewed ROOT BOUND for your book blog and would like to do the same for WATER WORKS, give me a shout. There will be more dates and information to follow. My deepest thanks to my family and friends for supporting my madness all these years. I couldn't be this crazy without you. Geeks of the world rejoice! There's a new podcast in town, and it's dedicated to all things geeky. They launched last week, with Wil Wheaton's talk and Q&A at Montreal Comic Con 2012. There's some great stuff here, and any Wheaton fan can attest to the breadth and depth of his geekitude. Yep, that's right. Caught on tape at Ad-Astra in November 2012, you can hear me blather on about ROOT BOUND, how it came to be, some of my influences, and what I'm working on now. And speaking of influences, do run over to Amazon and grab Frank L. Baum's wonderful The Magical Monarch of Mo, which is currently free for Kindle. ROOT BOUND GIVEAWAY: While you're there, be sure to leave a comment on the podcast page for a chance to win ONE of TWO print copies of ROOT BOUND! GeekDad will ship anywhere, so this contest is open worldwide. GeekDad then goes on to talk about book reviews and starts on the commendable task of re-watching all of Star Trek: The Original Series, so there's stuff of interest for all. ROOT BOUND Is Back On Tour! ROOT BOUND is back on tour! We've got lots of fun stops planned over the next few weeks. I've got a couple of blog posts making the rounds, along with author interviews and lots of ROOT BOUND reviews. 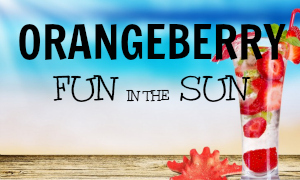 Be sure to find us on Twitter on 20 July, 2013, when I'll be answering random questions through the day, and on 21 July, 2013, when Orangeberry Tours will be blasting out all sorts of fun information about the book! Thanks to Orangeberry Book Tours for setting this tour up!